This exhibition catalogue celebrates the life and work of avant garde poet and playwright Wilfred Watson. Drawing on the rich collection of letters, notebooks, manuscripts and sketchbooks in the University of Alberta Archives’ Wilfred Watson Fonds, this exhibition traces Watson’s development from his early encounters with the work of T.S. Eliot, Dylan Thomas and Emily Carr to his decades-long engagement with the writing of Gabriel Marcel, Wyndham Lewis, and Marshall McLuhan, and from his initial work on stage to his career-changing involvement in the Edmonton theatre community centred on Studio Theatre, Walterdale Theatre and the Yardbird Suite. 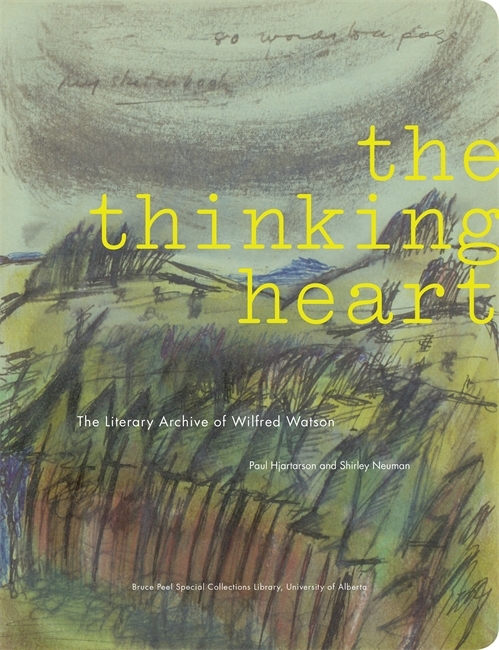 The archives include a rich correspondence between Wilfred Watson and his wife, Sheila Watson, and many notebook entries describing the two writers' lifelong dialogue. Paul Hjartarson is Professor Emeritus in English and Film Studies at the University of Alberta. Shirley Neuman is Professor Emeritus, University of Toronto.